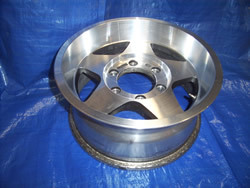 We can also modify mag wheels (safely!) 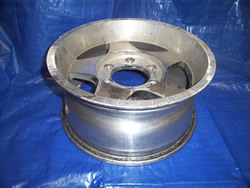 to change the stud pattern, the offset, or the hub diameter. 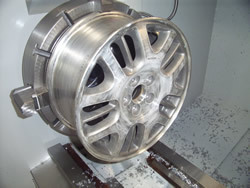 We have recently installed a computer controlled lathe, with the capacity to swing 650mm over the bed and 890mm in the gap. 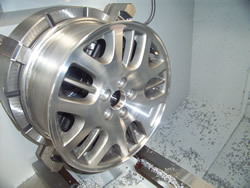 The spindle bore is 105mm, and it can accommodate one metre between centres. 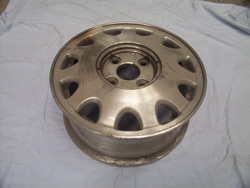 With the above facility we can refurbish those machined face mag wheels which have lost their lustre or developed "snail trails" under the clear lacquer, or have been scraped against the kerb. 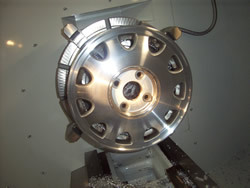 We can machine a thin layer off the face of the mag wheel and thus restore them to their former glory. Our well equipped workshop now includes some of the most powerful, state-of-the-art welders available. This means we can weld anything from tin foil to aircraft carriers.